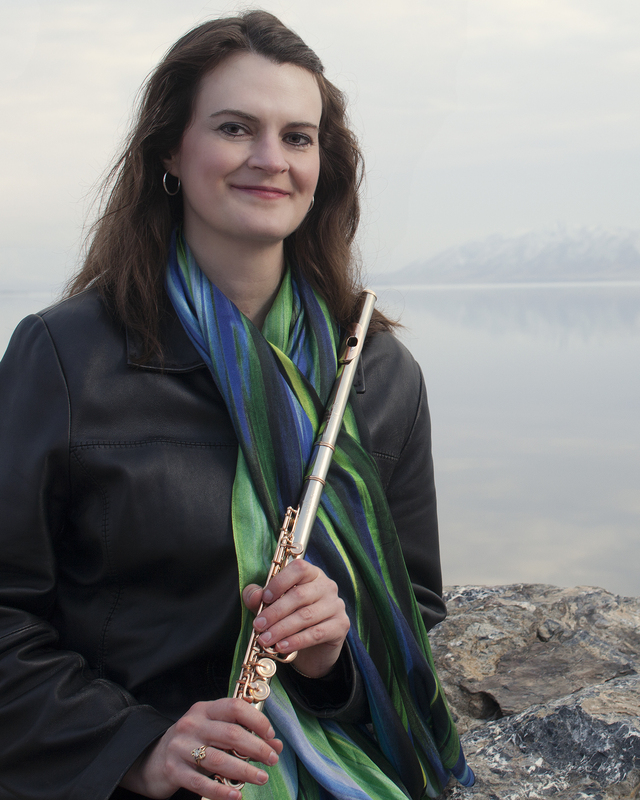 Starting tomorrow young flutists will be converging on the Waterford School in Sandy for the Salt Lake Flute Forum, an event that organizer April Clayton hopes will be the first of many. “I’ve done a smaller version of this in the past, but never anything on this scope,” said Clayton, who is on the faculty at Brigham Young University. The forum isn’t just a series of master classes, although there are several during the four-day event. There are also concerts, discussion panels, Q and A sessions and a mock orchestral audition. The intent is to show the participants, who range in age from high school to post graduate, what it takes to become a professional musician – and also what kinds of options are available to them if they don’t succeed in landing a position with an orchestra. One of the fun events will be the mock auditions, Clayton said. It will be set up as a real audition and performances will be judged by Utah Symphony colleagues Mercedes Smith, Caitlyn Valovick Moore and Lissa Stolz. “They’re going to give the students feedback on what they heard and what they would have liked to have heard,” Clayton said. In addition to Clayton there will also be two guests, Amy Porter from the University of Michigan, and Bonita Boyd from the Eastman School. The three will also give concerts, which are open to the public. “Amy is known to do less typical repertoire, while Bonita’s repertoire is more standard,” Clayton said. Porter and Boyd will be accompanied by Salt Lake pianist Lawrence Gee. Clayton’s concert will be the closing event at the forum, and because of that she decided to do something other than a recital. “I wanted a special concert, and I decided on a chamber music program.” Joining her will be violist Leslie Harlow, harpist Nicole Brady and pianist Jed Moss. The concerts take place at the Waterford School Concert Hall, 1480 E. 9400 South, Sandy. Tickets are $10 general and $5 seniors and students and available at the door. For more information on the forum click here. For information on the concerts click on Salt Lake Flute Forum Concerts. Below is a listing of the concerts. June 27, 7 p.m. – Amy Porter, flute, Lawrence Gee, piano. Program: J.S. Bach: Prelude to Suite No. 5 for Solo Cello, arranged by Amy Porter; Peter Bacchus: Fantasy on the Allemande from the Partita in A minor by J.S. Bach; Heinz Holliger: Sonate (in)solit(air)e for Flute Solo; Schocker/J.S. Bach: Partita BWV 1013, Ghost, with April Clayton; Gieseking: Sonatine; Caliendo: Sonata No. 11 (written for Amy Porter). June 28, 7 p.m. – Bonita Boyd, flute, Lawrence Gee, piano. Program: La Montaine, “Come Into My Garden;” J.S. Bach, Sonata in E minor; Poulenc, Sonata; Paganini, Caprices Nos. 17, 21, 24; Bartók, Suite Paysanne Hongroise. June 29, 5 p.m. (please note early start time) – April Clayton, flute; Leslie Harlow, viola; Nicole Brady, harp; Jed Moss, piano. Program: Persichetti, Serenade for Flute and Harp; Debussy, Sonata for Flute, Viola and Harp; Duruflé, Prelude, Recitatif et Variations for Flute, Viola and Piano; Martin, Ballade for Flute and Piano. This entry was posted in Articles, Concert Previews by Edward Reichel. Bookmark the permalink.